Welcome to All Painting & Restoration, we have provided quality residential and commercial interior and exterior painting services to home and business owners in the White Mountains Region, AZ for over 20 years. Family owned and operated, our primary focus is providing our customers with the highest quality level of painting & restoration services available in the area. A new coat of paint can work wonders when it comes to breathing new life into the appearance of the interior and exterior walls of your home or business. Whether you choose neutrals, pastels or vibrant colors, a new coat of paint can make an immediate impact in the way that your home, office or retail space feels. Have you ever tried a DIY paint project only to end up frustrated and disappointed? In theory painting may seem like a fairly easy project but there is a lot more to painting than simply putting a coat of paint on your walls. 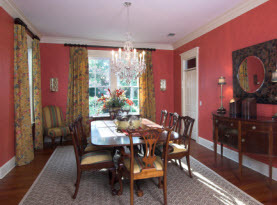 Experience and skill play a large role in ensuring that your home has the professional look that you desire. Our artisans and design experts will make sure that the right type of paint and materials are used for the work performed within your home. Our professional level of service and attention to detail are what sets us apart from our competition. We focus on your home and treat it as if it were our own so you can be assured that you will be completely happy with the finished product. 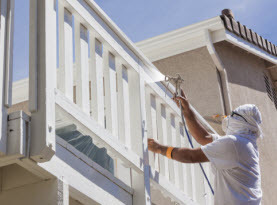 All Painting and Restoration offers both pressure washing and sandblasting services to our commercial and residential customers in the White Mountains Region, Arizona. In a nutshell, pressure washing is the process of using a high-pressure water spray to remove loose paint, grime, dirt, dust, mud, mold, chewing gum and oil from surfaces. It is ideal for cleaning and restoring buildings and properties from roofs to driveways. Sandblasting is the process of using compressed air to blast abrasive media at a surface to clean, debur or prepare for a coating. Our sandblasting service is ideal for a range of wood and metal projects in homes, commercial and industrial sites. Sandblasting is ideal for cleaning old surface coatings, stripping stain or paint from beams, ceiling wood decor, exposing the grain in wood for raised grain effect, and to remove smoke or fire damage stains. Why choose All Painting & Restoration for your Professional Painting & Restoration Needs in The White Mountains Region of AZ? 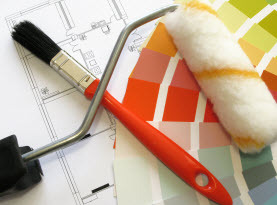 At All Painting & Restoration, our number one priority is customer satisfaction. We use the best paint and painting tools available and we guarantee that your commercial painting will be completed on time with minimal disruption to your business. As business owners ourselves, we understand the needs of a running a business and we also understand that your time is valuable. We will take care of your lobby, offices, hallways and break areas to keep your commercial areas fresh and appealing to both your employees and clients. 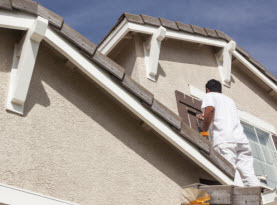 A new coat of paint to the exterior of your home will insure that your property not only looks the best that it can be but it will also insure that your home is protected from the stresses of everyday weather. 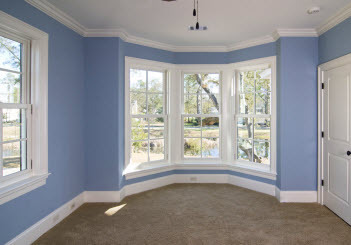 At All Painting & Restoration, our interior and exterior painting services will improve the appearance of your home inside and out. We take a great deal of pride in providing the best possible painting services and take the time to do things right the first time. We use only the best products and application techniques available in the industry. For more information, contact the knowledgeable painting and restoration specialists at All Painting & Restoration today.